As you all know, I’m a sucker for white textured pieces. My closet is full of embroidered tops and dresses, all in white, so it’s no surprise that summer is my favorite time for fashion. What makes summer style so special is the unique mix of colorful prints and textures that just don’t work in any other season. 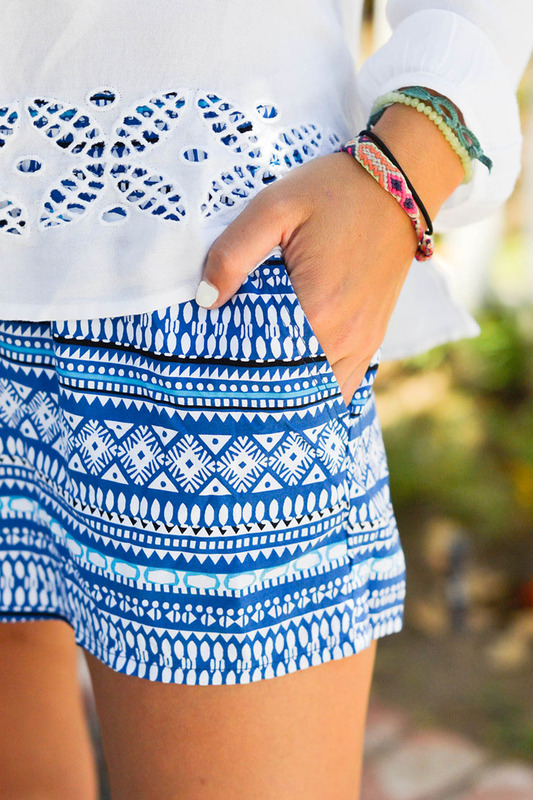 Global-inspired prints are some of my absolute favorite for summer — think tribal, aztec, geo, etc. As for textures, breezy materials like gauze, linen, and soft cottons are a must. Take a look at the best prints & textures of the season and how to wear them. 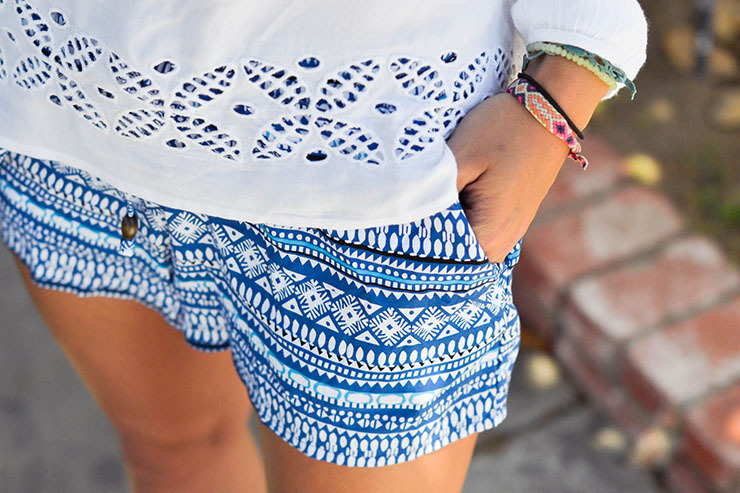 A fun way to incorporate prints into your summer wardrobe is with a pair of soft cotton shorts. They’re super comfortable, flattering, and versatile. The casual material makes them perfect for a day at the beach, and the global-inspired print allows you to transition them to night. I snagged these blue shorts for just $19.94 at Old Navy! I paired them with this soft textured top (just $24.99!) and some chunky wooden heels to dress up the look a bit. 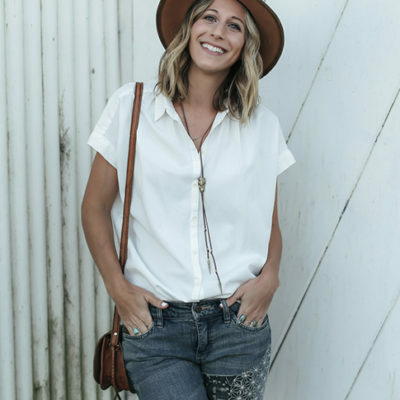 What I love about summer textures is their subtle impact on an outfit. A gauze dress doesn’t necessarily make a statement, but the breezy feeling it emits is what truly makes the outfit. 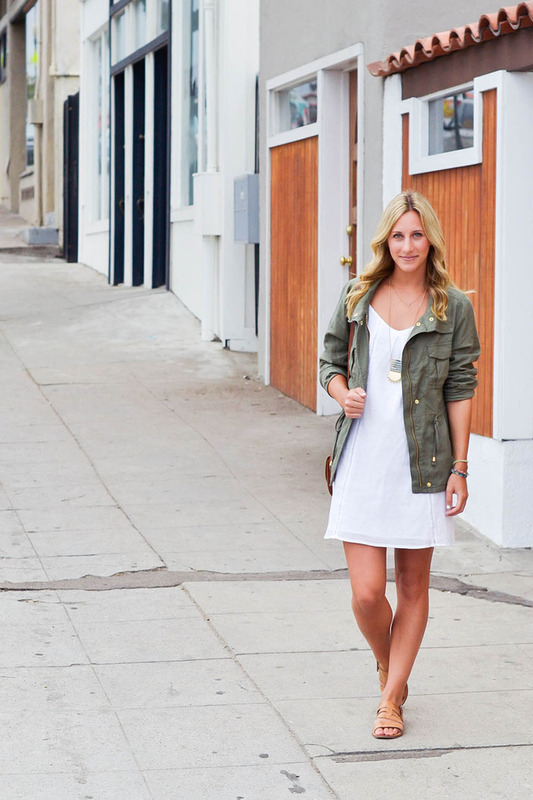 This light gauze dress is the perfect slip-on-and-go piece for summer. It’s airy enough for super hot days and layers well when there’s a bit of chill in the air. Plus, it’s only $30 — how can you say no? Linen is another material you’ll find in everything from tops to dresses to jackets. 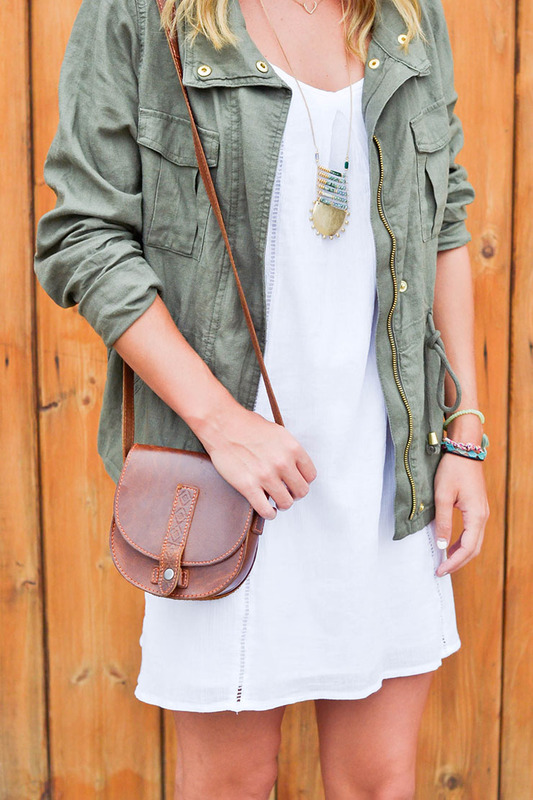 I love this summer take on a classic fall jacket. The loose fit and linen-blend make it versatile for both seasons, and since it’s Old Navy, it’s seriously affordable (just $37!). I finished the look with a new necklace I picked up in San Diego! Those shorts are so cute and you can not beat the price! I love these two looks! I need a new green jacket like the one you have on in that second outfit. Love it! Thanks Loren!! I hope you come back to comment more often :). I’d love to hear from you!